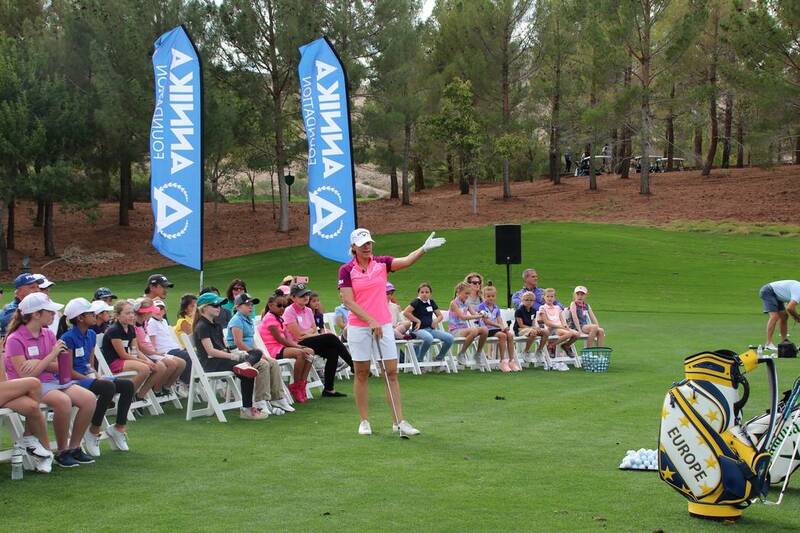 Annika Sorenstam, a World Golf Hall of Famer with 72 LPGA Tour victories, held a clinic for 40 Southern Nevada Junior Golf Association female golfers on Saturday at Southern Highlands. It was part of her “Share My Passion” series of nationwide events. 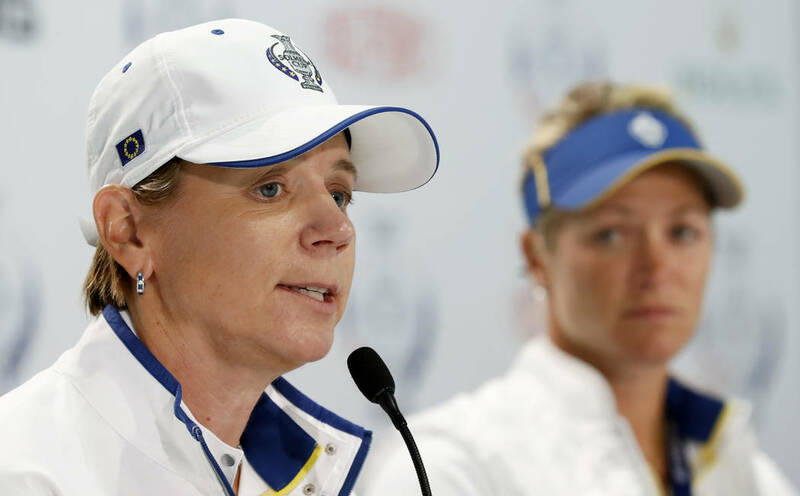 The goal was to inspire the younger players, and if Sorenstam inspires them as she did some of the teaching pros who assisted, her mission will be a hole in one. Local pros Kerri Clark and Nicole Dutt-Roberts, SNJGA alumni who now operate the association, and Shawna Elliott, Cathy Kim, Amanda Mirante, Jane Schafer and Revere Golf Club pro Kristen Sunderhaft helped at the clinic. “Annika has been my idol for more than 20 years and it was an incredible honor to be an instructor for her event,” Sunderhaft said. “What made the day extra special is we actually spoke and had a great conversation as I shared with her all of the putting games I had planned. She seemed very interested, and she even had her son participate. The UNLV women’s golf team played on home soil this week for the first of three times this season at the 17 th annual Las Vegas Collegiate Showdown at Boulder Creek. Unfortunately, the Rebels finished sixth, but were the defending champions. The team is scheduled to play the Battle at Boulder Creek on Feb. 11-12 and then hosts the Rebel Beach tournament at their home course, Spanish Trail, a week later. UNLV won the Rebel Beach last year. Las Vegas’ Danielle Kang won the Buick LPGA Shanghai, her second career victory. She was aided by an unusual wedge shot following a poor front nine during the final round. In the post-round press conference, Kang shared the story about caddie Ollie Brett’s “swing” advice. Also, Kang recently started working with swing coach Butch Harmon, who operates his school at Rio Secco. Locals get unlimited play for $20 at Topgolf from 9 a.m. to noon Monday through Friday. Former Tour players Craig Barlow and Jeff Gallagher (they play competitively occasionally) are now teaching the game at Reflection Bay at Lake Las Vegas.